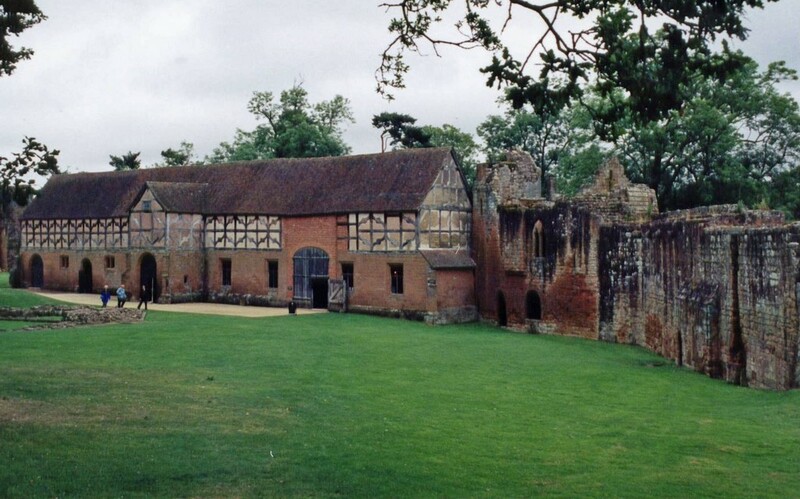 Leaving Minster Lovell, we travelled along the Fosse Way and then stopped at Kenilworth Castle, near Warwick. Some parts were in better repair than others. 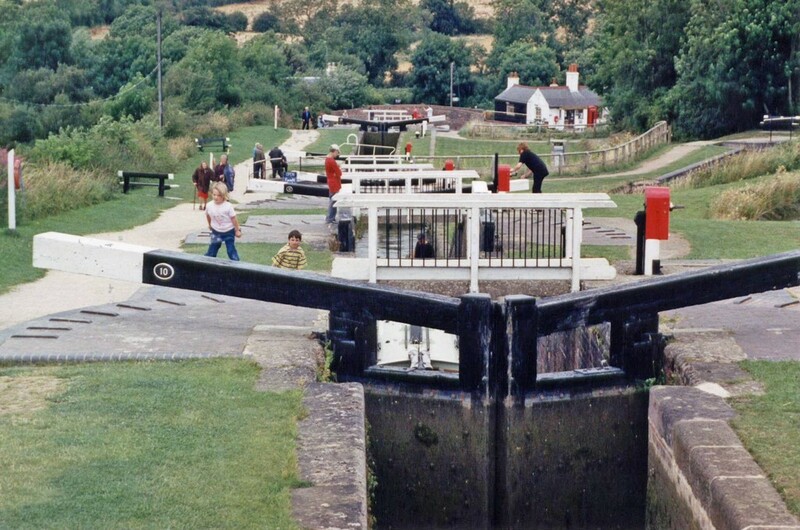 Then east to Foxton Locks, a series of locks on the Grand Union Canal. 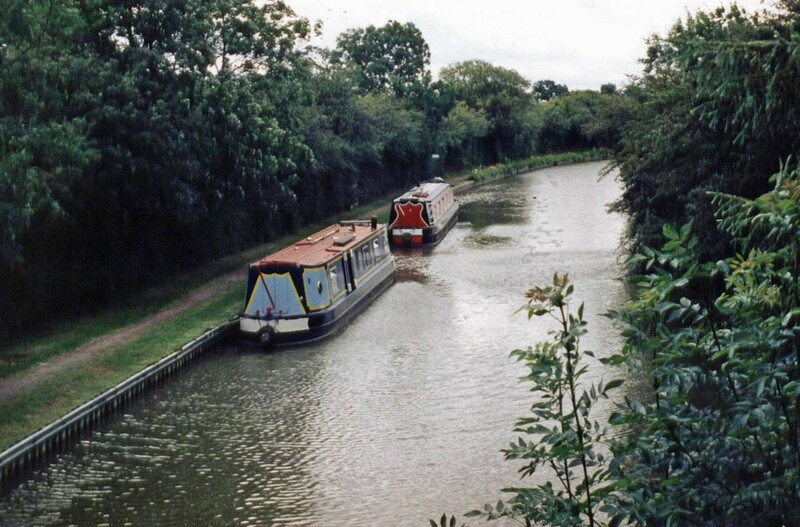 The Grand Union Canal near Foxton. 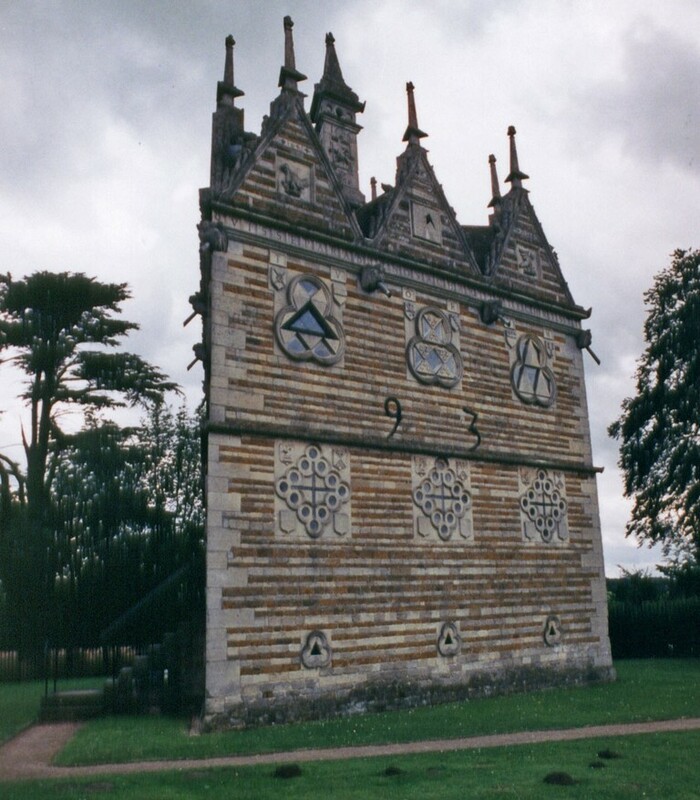 The Triangular Lodge at Rushden was supposedly built as a house for the local lord's rabbit-keeper, in the time of Elizabeth I; but the triangular shape represents the Holy Trinity, and many other features are symbols of the builder's Catholicism at a time when this was deeply unpopular in Britain. 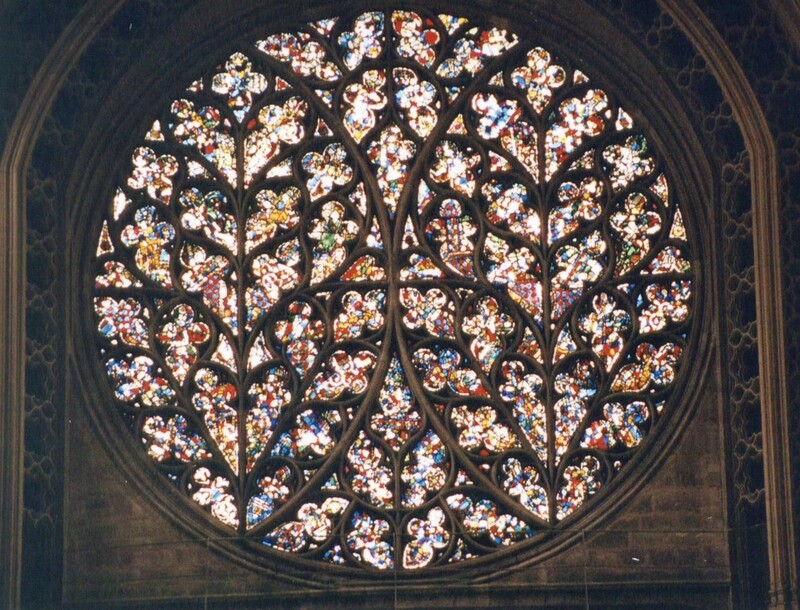 When Queen Eleanor, wife of Edward I, died in November 1290 near Lincoln, her body was taken to London for burial. 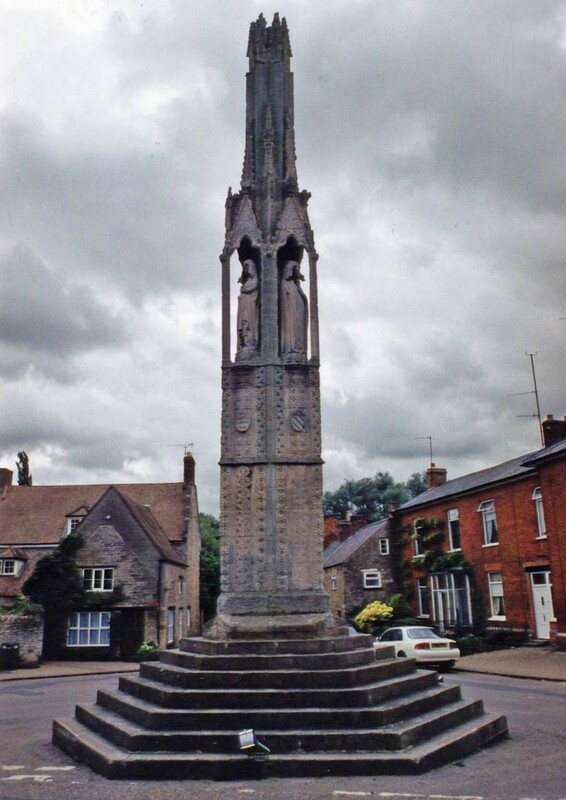 Edward had an ornate cross erected at each of the 12 places where this journey had an overnight stop. Only three now remain, of which the one in best condition is this one in the small village of Geddington, Northants. Geddington also has this old stone bridge, with a ford next to it for vehicles too wide or too heavy for the bridge. The local lads take joy in driving their cars through the ford as fast as they can. There is not much for young people to do in Geddington. 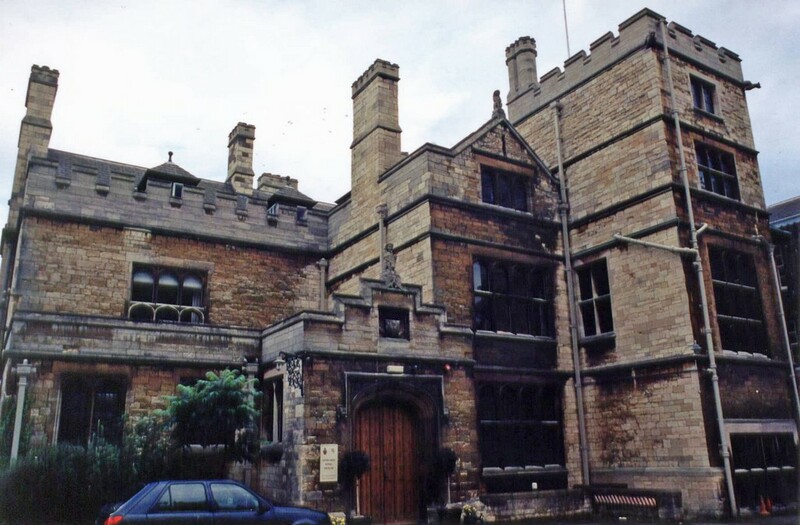 In Lincoln, we stayed in Edward King House, which is part of the Cathedral complex: it was built in Victorian times to be the Bishop's House. 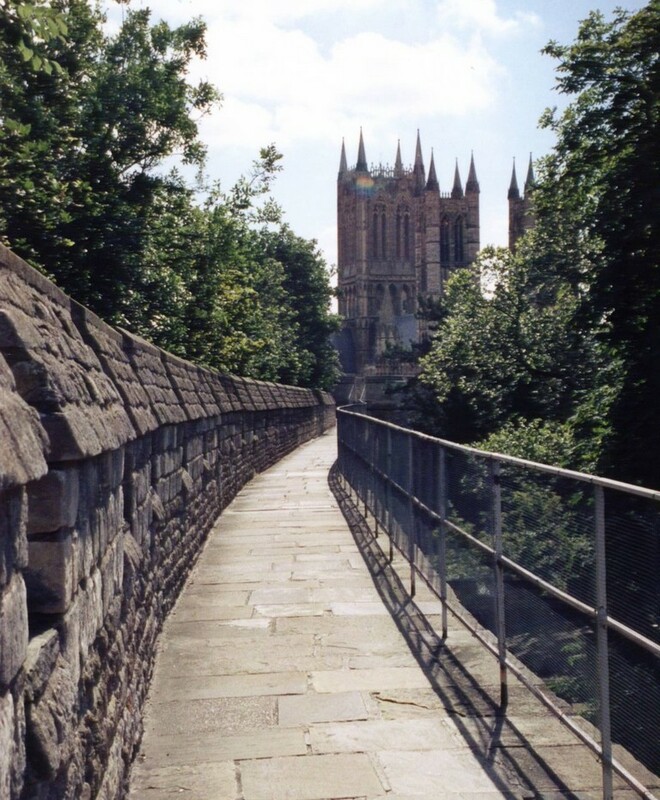 It was certainly very convenient, as it provided accommodation and free parking right next to the Cathedral. 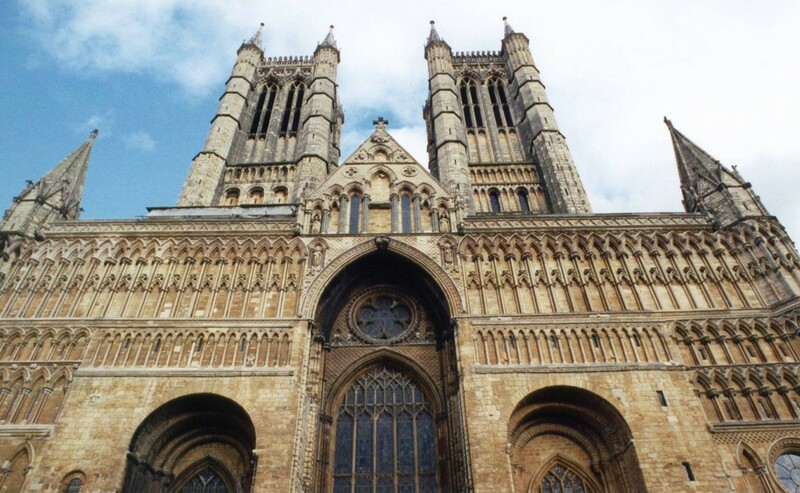 And this is the West Front of Lincoln Cathedral. 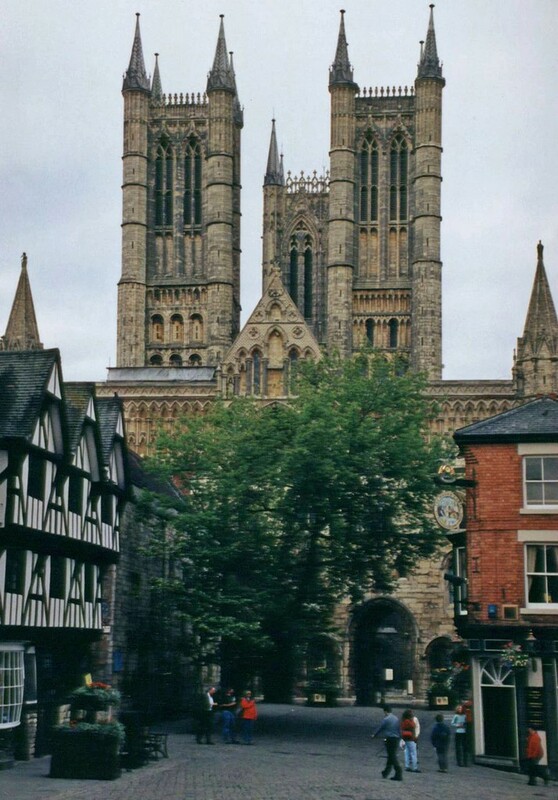 The Cathedral from near the entrance to Lincoln Castle. 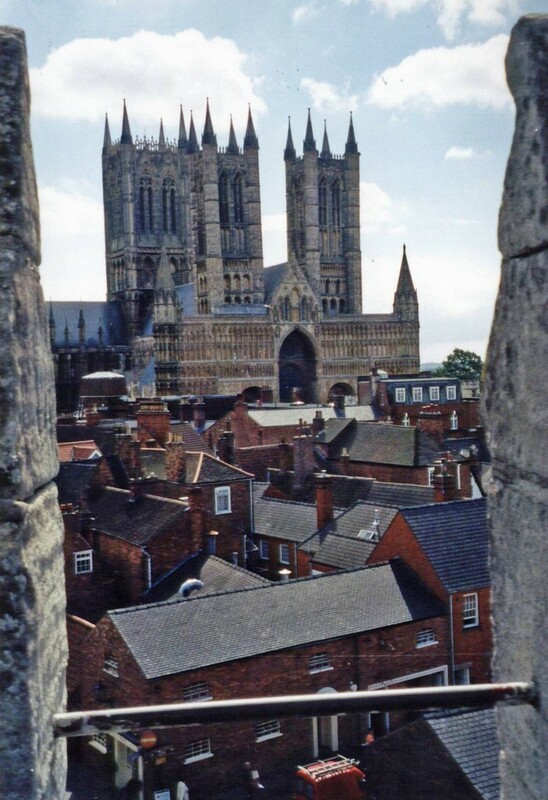 The Cathedral from the Castle battlements. 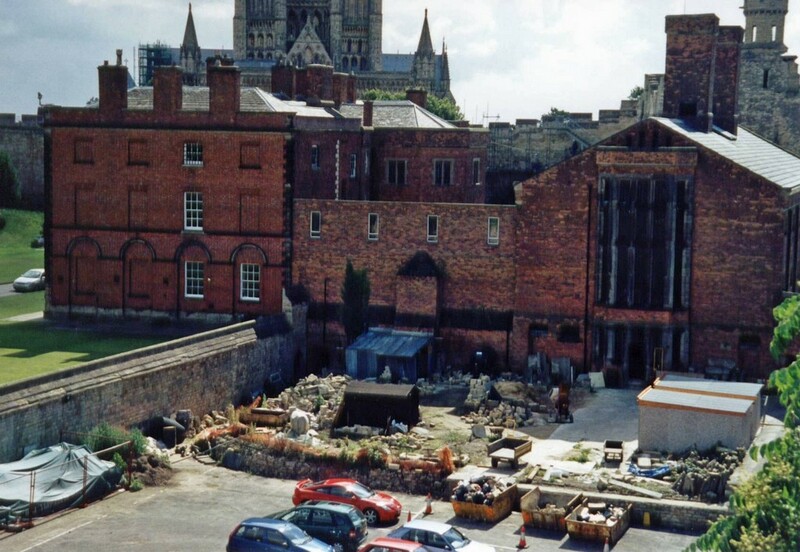 Behind the scenes at Lincoln Castle. 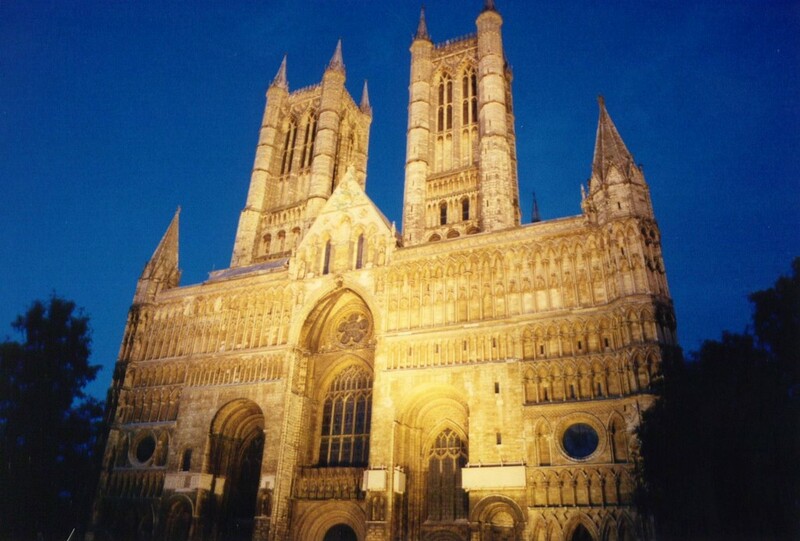 The Cathedral floodlit in the early evening. The next stop is Moffat.